After a successful maiden season, the PDC Asian Tour will be expanded for 2019 with six weekends of action taking place through the year in Asia. 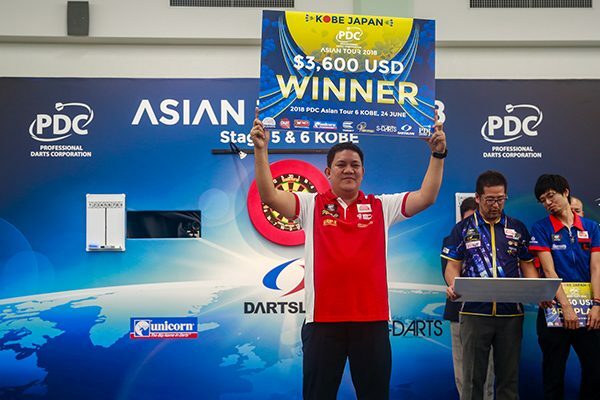 South Korea, Hong Kong, Philippines, Japan and Taiwan will all host a weekend of two tournaments with over $120,000 on offer as the PDC continues its procedure to strengthen the quality of the game in Asia. Despite only existing for a single year, the Asian Tour has already experienced a nine-dart finish courtesy of Noel Malicdem – who will be joined by Lourence Ilagan, Paul Lim, Royden Lam and Seigo Asada as the Asian Tour qualifiers that will head to Alexandra Palace for December’s William Hill World Darts Championship. The circuit will commence on the final weekend in January in Seoul, South Korea, with further events being held in Leyte, Kobe, Taipei, Hong Kong and an unannounced location which will be confirmed in the near future.